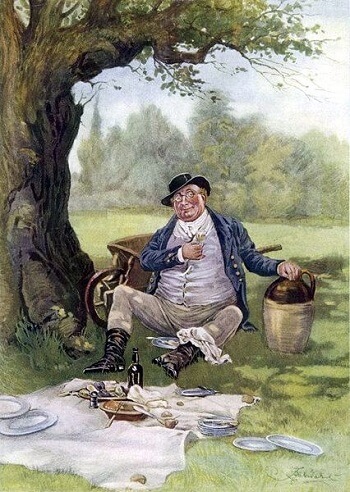 The name Pickwickian Syndrome originated from an overweight Charles Dickens character named Mr. Pickwickian. Obesity Hypoventilation Syndrome (OHS), also known by the name Pickwickian Syndrome, was first identified in the 1950’s and is a form of sleep-related breathing disorders that are characterized by low blood-oxygen levels caused by failure to breathe deeply or fast enough. This condition is typically found in those who are obese, having a BMI over 30. The nickname Pickwickian syndrome originated from the title of a Charles Dickens novel where an obese man constantly fell asleep throughout the day. The character, Mr. Pickwickian, was always tired, hungry, red in the face and fell asleep mid-task. There are two different types of OHS. The most common type relates to Obstructive Sleep Apnea (OSA), a condition where a person stops breathing while asleep which occurs at least five times throughout the night. This type is the most prevalent and affects ninety percent of people with OHS. Sleep Hypoventilation Syndrome accounts for the other ten percent of patients diagnosed with OHS and is characterized by a 10 mmHg or greater rise in carbon dioxide levels while asleep when comparing awake levels and a drop in CO2 while asleep that’s not related to an apnea event. While not all who are obese experience OHS, many do. OHS is caused by body fat restricting the movement of the diaphragm and chest muscles which prevents proper breathing. OHS and OSA exhibit several of the same symptoms including daytime tiredness, inability to concentrate, snoring, interrupted sleep and elevated carbon dioxide levels which are known to cause drowsiness. As mentioned, in the majority of cases, the two conditions occur simultaneously because they are both conditions that are commonly caused by being overweight. OHS is dangerous because it places a strain on your cardiovascular system. Some symptoms may include chest pains, swelling of the legs, and difficulty exercising. How is OHS Diagnosed and Treated? How is OHS diagnosed and what are the available treatment option? In order to diagnose OSH, three criteria must be met. The first being that a Body Mass Index of 30 or greater which is within obesity range. 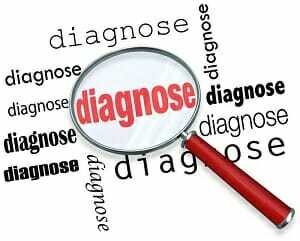 Another criterion is that the condition is not being caused by any other health issue such as drug use, lung disease, Kyphoscoliosis, a neuromuscular disease or a thyroid condition. Finally, when tested, CO2 levels must exceed 45mmHg. OHS is often treated using several of the same treatment methods that are used when treating OSA. Weight loss by improving diet and exercise are the best approach with long-lasting results. In some cases where the patient has an extremely high BMI, gastric bypass surgery may be recommended. This type of surgery is often reserved for those who are unable to lose weigh using diet and exercise. There are several complications that are associated with gastric bypass, so it should only be used if necessary. In addition to weight loss, those with OHS may also be prescribed a CPAP machine to assist with breathing. A CPAP machine generates a steady flow of air through a tube and is delivered to the nose and mouth using a mask. This flow of air helps to force the airway open which clears any obstruction. This type of treatment is commonly used when OSA and OHS exist together and is effective in about half of those with OHS. Other treatment options include prescription drugs which can be used to treat OHS, although their effectiveness is not well known. Some of these drugs include Depo-Provera and Progestin. In extreme cases where none of the mentioned treatment options work, a tracheotomy may be performed. This is a procedure where a doctor cuts a hole in your airway and inserts a tube to assist with breathing. While OSA and OHS are two different conditions, they often exist together for the simple reason that both conditions are often caused by being overweight. The same can be said for several other health problems that are related to being overweight and exist together such as high blood pressure, type 2 diabetes, fatty liver disease, osteoarthritis, heart disease, stroke, some cancers, and kidney disease. While not all who have OHS are overweight, the majority are. By reducing your BMI, you will reduce the likelihood of developing many of these conditions. While this is a question that should be answered by your doctor, there are certain indicators that you may be carrying too much weight. One of the most common indicators is the Body Mass Index or BMI. In order to calculate your BMI you must know your height and weight. These numbers are plugged into a formula to calculate BMI. There are several online calculators that can help to make this for you. Those of normal weight will have a BMI range between 18.5 and 24.9. Overweight individuals will have a BMI between 25 to 29.9 and those who are obese will have a BMI greater than 30. In addition to BMI, another indicator of being overweight is waist size. Men with a waist size greater than 40″ and women with a waist greater than 35″ are more likely to be considered overweight. Pickwickian syndrome is a fairly common condition among those who are overweight and have obstructive sleep apnea. It’s estimated that between 10%-20% of people with OSA also experience OHS. Luckily, this condition can often be reversed by adopting healthier eating habits and maintaining a lower body weight. Reduce the number of calories consumed per day and avoid foods that are high in added sugar and saturated fats. Thirty minutes per day of physical activity will help to burn fat faster and keep your weight under control. In addition to good nutrition and exercise, also consider improving your sleeping habits by avoiding meals and alcohol before bedtime and getting roughly 8 hours of sleep per night. Lack of quality sleep may cause weight gain due to the fact that sleep deprivation causes us to crave nutrient-deficient junk food which is known to cause weight gain. If you are experiencing any symptoms of OSA or OHS, it’s important to first speak with you doctor to determine if either condition exists. They may perform a sleep study, EGK, MRI, CT scan or fiber optic scope of the upper airway to make a determination. Form there, you can discuss treatment options with your doctor. OHS is a serious condition which can lead to congestive heart failure, coronary artery disease, and stroke and should be treated as soon as possible.